In today’s dose of adorable, breaking political news (bet you haven’t heard that one before! ), Sen. Kamala Harris’ Jewish stepchildren have given her a very Yiddish nickname. Now, it’s unclear if siblings Cole and Ella made the explicit connection between the endearing nickname and the Yiddish word mamaleh (which literally means “little mama,” but is commonly used as a term of endearment for kids). But, for our intents and purposes, we sure hope so. 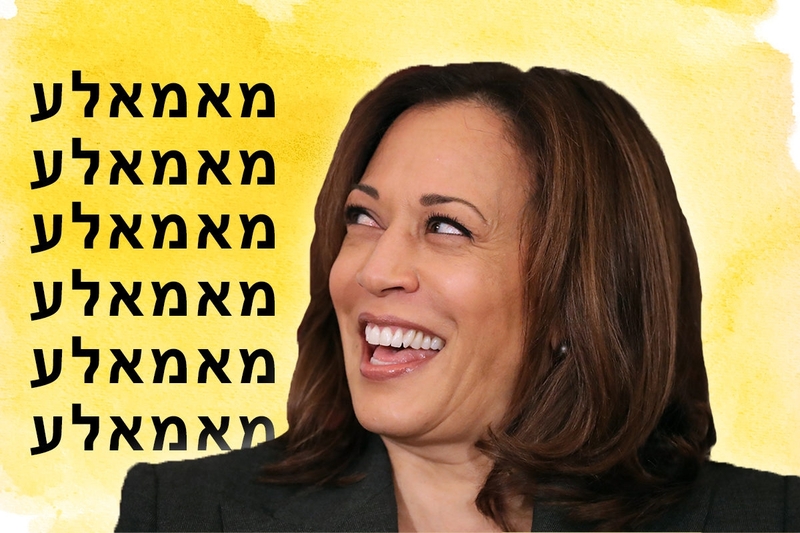 Although it’s probably just a cute portmanteau of “Kamala” and “mom,” the Yidd-ish nickname suits Harris, considering her Jew-ish history. (To be clear, the 54-year-old junior senator from California is not Jewish; her mom immigrated to the U.S. from India and her father is from Jamaica.) Harris met Emhoff in San Francisco on a blind date, and although her sister officiated the wedding, Harris smashed a glass in honor of Emhoff’s Jewish heritage — talk about a feminist marriage! So while Harris may not be Jewish, she’s certainly a mensch — and so this Yiddish nickname has Kveller’s seal of approval.